It’s not easy to get a U.S. patent. 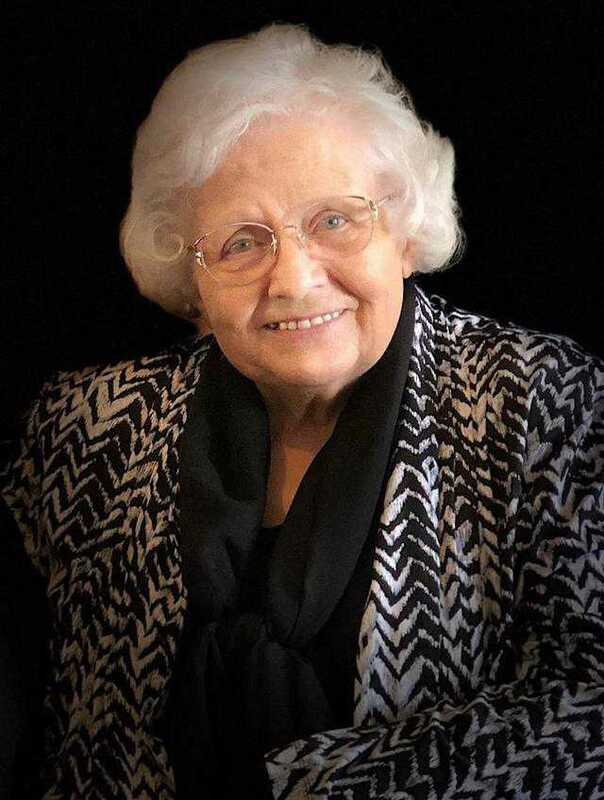 To do so, an inventor or inventors must file an application with the United States Patent and Trademark Office (USPTO) within one year after the invention is in use in the U.S. The applicant/s must prove that the invention is substantially different from similar products known or used by others in the U.S. and must show that the invention has at least one significant or beneficial use and one moral or legal use. Fulfilling those requirements usually takes concentrated effort, much time and much money. Professional help often includes a patent lawyer, a patent researcher, a draftsperson, a writer and possibly a loan officer. If fulfilled in a timely and satisfactory manner, the patent is awarded (not granted) to the applying individual/s – not to a company or organization but to a person/s. 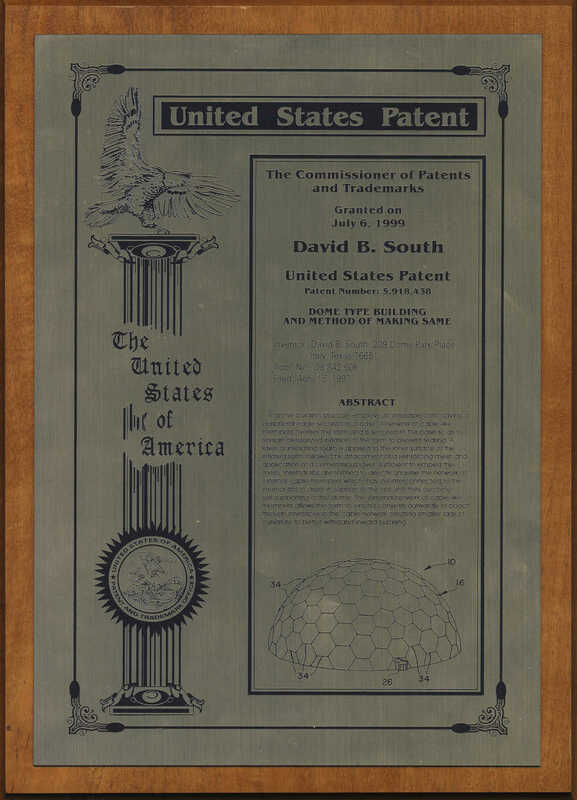 In 1979, David South, president of Monolithic, and Barry South, David’s younger brother, as co-inventors, were awarded a patent for the Monolithic Dome. 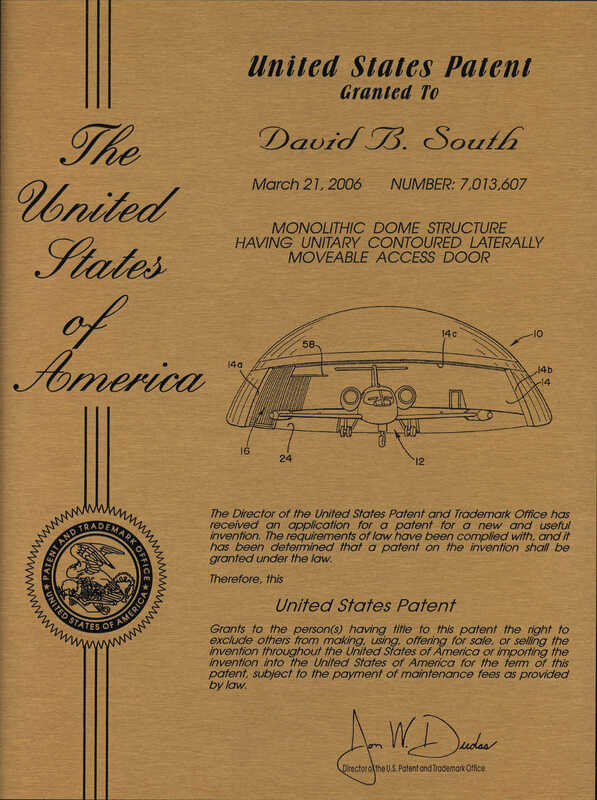 The USPTO awarded this patent because the structure called a Monolithic Dome was substantially different from all other types of structures, in use, in America. 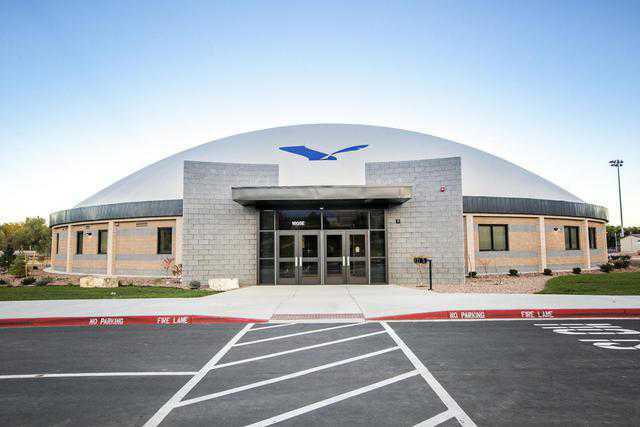 What made it different was its construction process that stipulated using an inflatable Airform, polyurethane foam insulation and steel-reinforced concrete. David and Barry South met those requirements in 1980. In Monolithic’s family of domes, the Crenosphere is big brother! 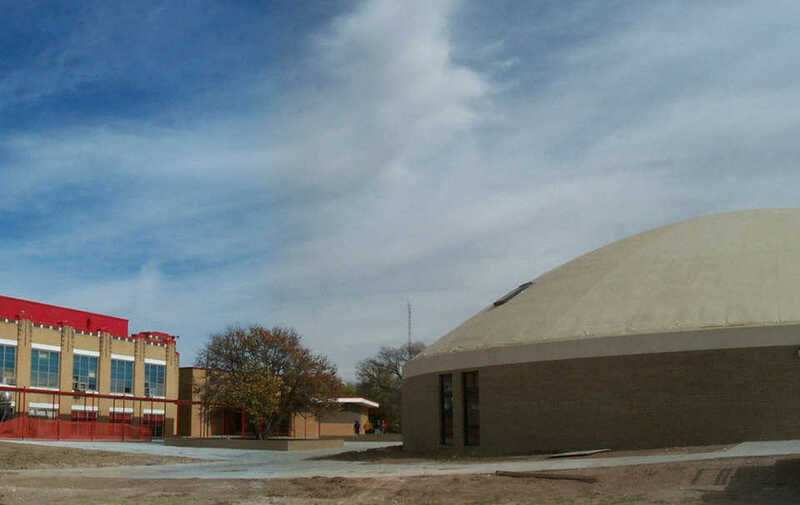 Crenospheres are huge, concrete structures, ideally suited for indoor sports. 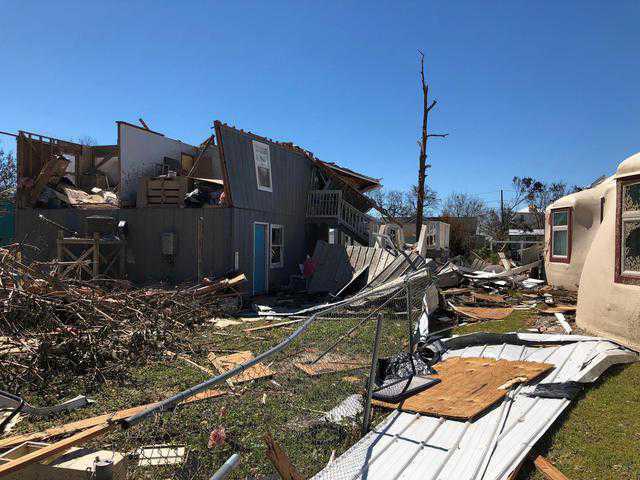 Their diameters range from 300 to 1000 feet; their heights range from 75 to 500 feet; they can accommodate thousands and are disaster resistant, energy efficient, green and affordable. The Crenosphere’s construction process differs substantially from that of other huge structures. 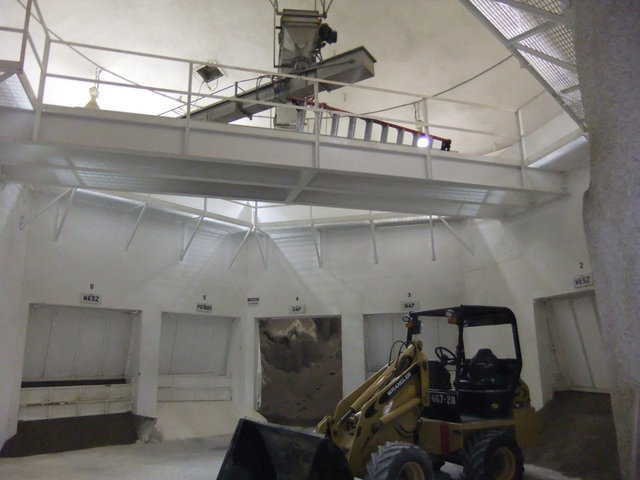 It uses a net of cables spread over the outside of an inflated Airform, polyurethane foam insulation and an underlining of steel-reinforced concrete beams. 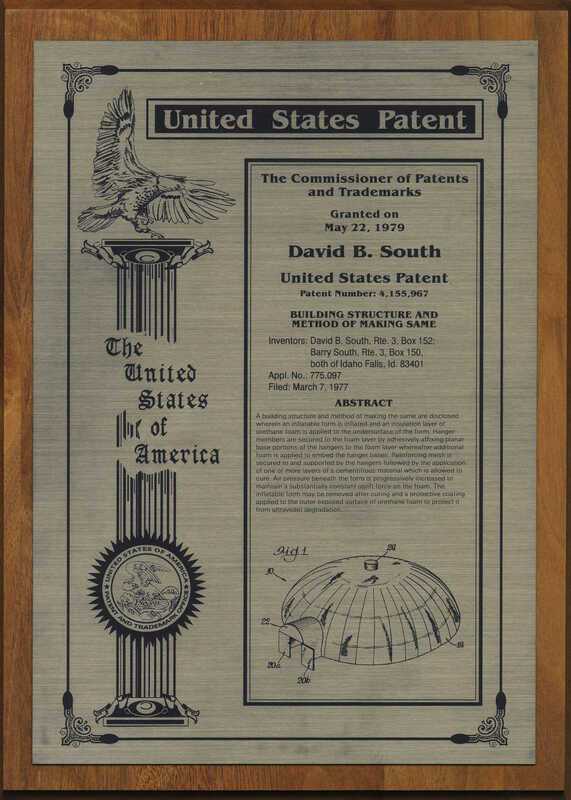 In 1999, the USPTO awarded David the patent for the Crenosphere. Invented by David, the Monolithic Door is best described by its official name: Monolithic Contoured Laterally Moveable Access Door (MCLAD). It is and does everything its name implies. 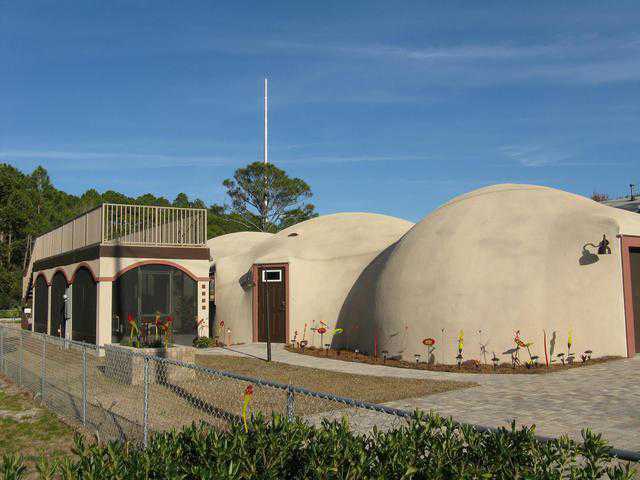 Constructed as a one-piece, three-dimensional, curved panel, the Monolithic Door can move laterally on the inside or outside of a Monolithic Dome. 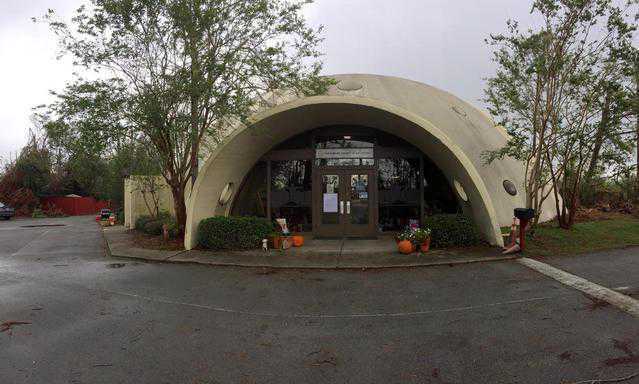 It’s the most practical door for Monolithic Domes designed as aircraft hangars, factories, warehouses, etc. The patent attorney was right. 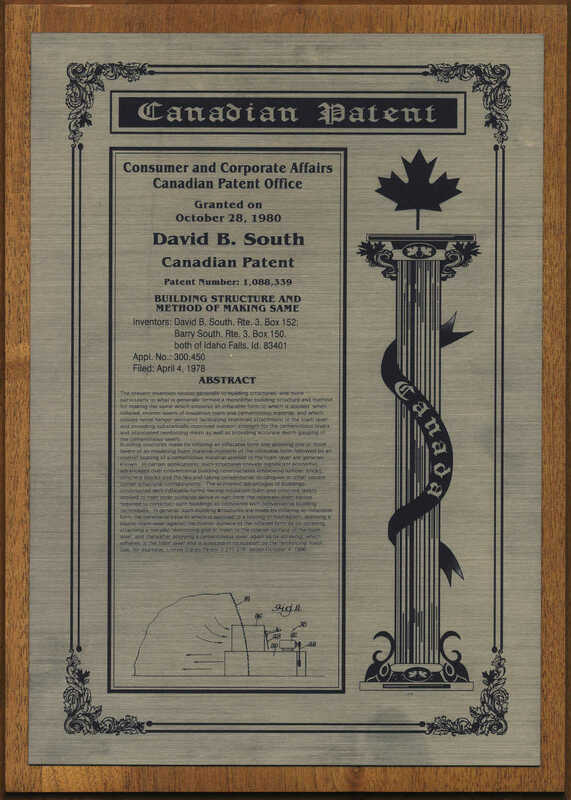 In 2006, David was awarded a patent for the MCLAD. Our government then established USPTO as an agency of the Department of Commerce. 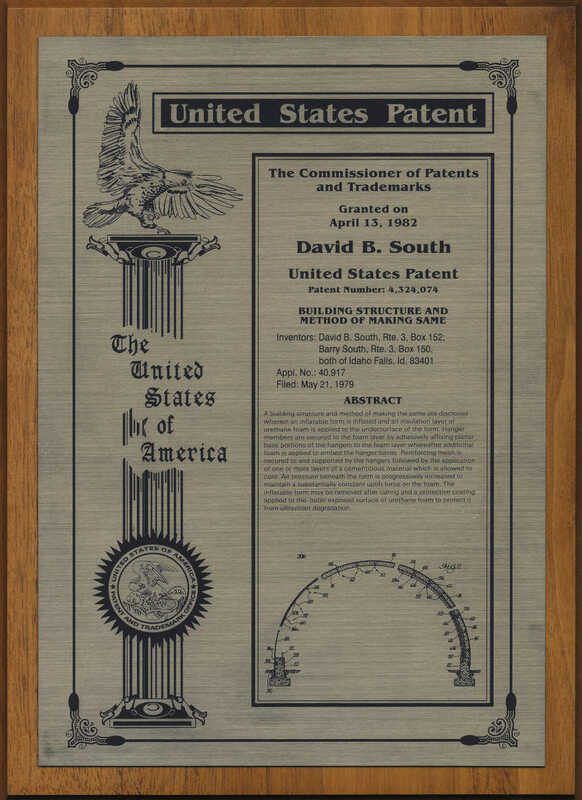 USPTO examines applications, determines the eligibility of an invention for a patent, and, if eligible, awards a patent, usually for twenty years from date of application. The patent is only good in the U.S. and – contrary to what many people assume – it does not get you the right to make something. It gets you the right to exclude others from making it. That means that it’s up to the patentee to enforce his/her patent – without the USPTO’s aid. Once expired, patents cannot be renewed. But they do establish the patent holder as the original, certified inventor!